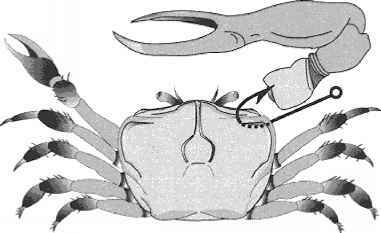 When using small crabs such as fiddlers for bait, break off one claw and insert the hook at the base. Crabs can be trapped (and are often accidentally caught when bottom fishing with worms, squid, or cut bait, which is often annoying but can be viewed as free bait) but you can buy them at bait shops. One exception is the mole crab, commonly called the sand flea. This little crustacean can be dug up on beaches at low tide with a shovel, a sturdy rake, or your hands and feet. These inch-long creatures are popular fish forage wherever they are found. Hook sand fleas through the underside of the body. Shrimp are used as bait on both coasts but most notably in the South. Grouper, redfish, ladyfish, snapper, snook, bonefish, sea trout, weakfish, and many other species feed on shrimp. There are many different species of shrimp; all work equally well in their home waters. 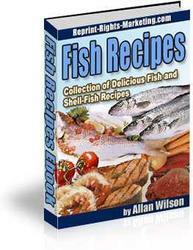 They can be cast-netted, but can be purchased at bait shops. 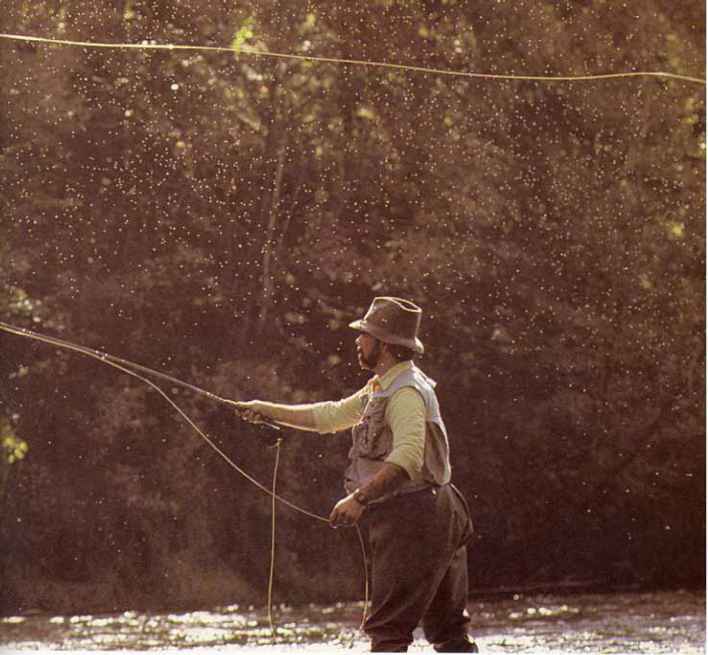 Live shrimp are much preferred as bait over dead ones, though the latter can still be used effectively. They are typically hooked from the rear of the tail, with the hook shank running up under the carapace and back out the bottom. They can be fished on the bottom, drifted with the current, or used to sweeten a jig. Always keep shrimp in a minnow bucket out of direct sunlight, and change the water often.